This private class can be a combination of yogas to create heat or not, this class is truly connected to meet people's needs. this is a Yoga Therapy class steeped in mindfulness of breath and movement. This class begins with a seated meditation, followed by a gentle combination of adaptive Hatha and Restorative postures, thus offering a space for tranquility and exploration that harmoniously supports both body and mind. Know for his unique approach and careful guidance, please join Gordon for a restful practice than promotes deep relaxation and a sense of inner stillness and for all levels, including beginners. All levels of experience are welcome. Suitable for beginners. Great corporate Yoga class or for those who work in any of the small offices around our location. 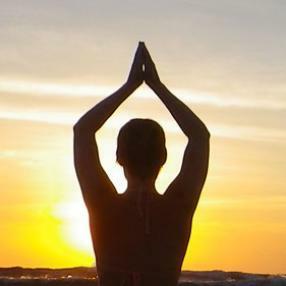 There are a variety of reasons to choose private yoga attention that is therapeutically based. One reason could be that you are new to yoga and are wanting to learn how to prevent or manage illness using the wisdom of the practice. Another reason for a private session could be that you have been practicing yoga for years in a group setting, but you feel that you are not getting to the heart of what you are wanting from the classes. In a group format, it can be challenging for the teacher to address the individual needs of each student since everyone is unique. Virtually anyone who enjoys yoga can benefit from the guidance of a personalized yoga program designed to fit their current needs. Personal Therapeutic Based Yoga sessions are available by appointment on Tuesdays or Thursdays at 1:15pm. Please contact for a free 15 minute phone consultation and to book your private therapeutic yoga session. Yin Yoga is very popular with both athletes and new students. This class is very slow and mindful. Spending more time in each posture allows muscles to fully lengthen by accessing the dense fibrous ligaments and connective tissue of the joints. All of the postures are non-weight bearing and practiced in a seated position. The intention is to encourage circulation in less flexible areas, to lengthen and release deep connective tissue, especially in the joints closest to the core of the body: the hips, lower back, and the sacral area. A relaxing, gentle Hatha class in the tranquil studio in the woods. Yoga for me is a way of life, it is accessible to regular, ordinary people who want to grow, heal and tune into their best selves. Every class, every yoga experience, is a good class! The teachings of the yoga masters say that yoga is about mind control, it is the destruction or elimination of self limiting thoughts we all have. They say that at our core we are super powerful, and everything we say and do matters. To control the mind, we learn to control the breath! My yoga seed was planted more than twenty years ago, and has evolved into Meditation and Guided Visualization Teacher, Yoga for Dancers, Hot Yoga, Yin Yoga, Kundalini Yoga and Yoga Teacher Training Assistant. When I first started practicing yoga I had a rotator cuff injury, and had to patiently relearn how to re-stabilize the shoulder, and undo habits of compensating to restore range of motion. As a classical ballet dancer and expert at compensating the body to push and compete, pain became my trans-formative tool to explore and practice Yoga Therapy with Functional Synergy teacher Susi Hately. Always the common thread throughout my teaching is breath awareness, mindful movement, stretching, balancing (both inwardly and physical) healing and stillness, with a focus on the journey rather than the destination. As a student and practitioner, I continually study to improve my knowledge of yoga and anatomy, proper alignment in postures, compensatory patterns, pure movement. My classes are challenging though safe, fun and lighthearted, and I learn from every class and every situation. Students inspire me more than they could ever know! The term Yin refers to slow, passive and meditative. In this class you’ll hold seated postures for up to 5 minutes, targeting the connective tissues, such as the ligaments, bones, and even the joints of the body that normally aren’t exercised very much in a more active styles of practice. The idea is to gain more flexibility and maneuverability that we tend to lose as we age. This style of Yoga is a perfect complement to the more dynamic, muscle-targeting classes such as Hatha and Vinyasa, which emphasize more heat and the contracting of our muscles. As this is a slow practice, it really challenges the mind, as when the body becomes still the mind wants to overcompensate. Yin will teach you to connect with your breath and body, in order to quiet your busy mind. ALL levels of experience are welcome.